Oh wow, we have bruises and aches all over after yesterday’s Tough Mudder! I popped out quickly this morning on my bike (ow), but apart from that I’ve spent a large part of today relaxing and watching Breaking Bad. 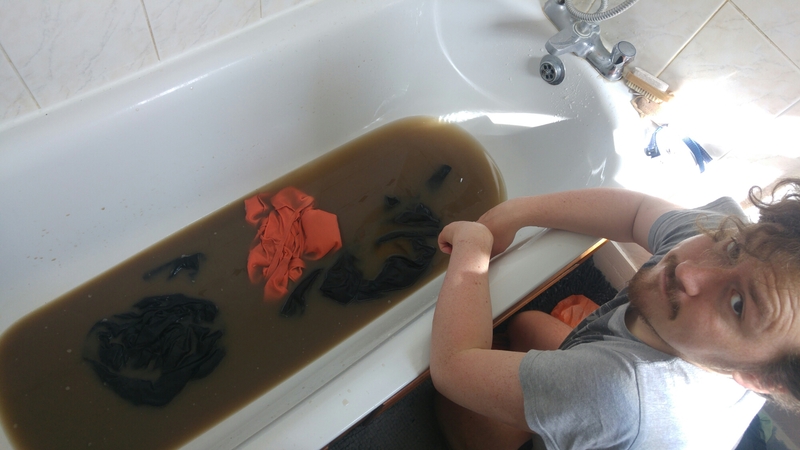 We did (well, mostly Nic) manage to wash our clothes from yesterday though! This was the prerinse before they did two rounds in the washing machine… This race is definitely making sure it has the last word.